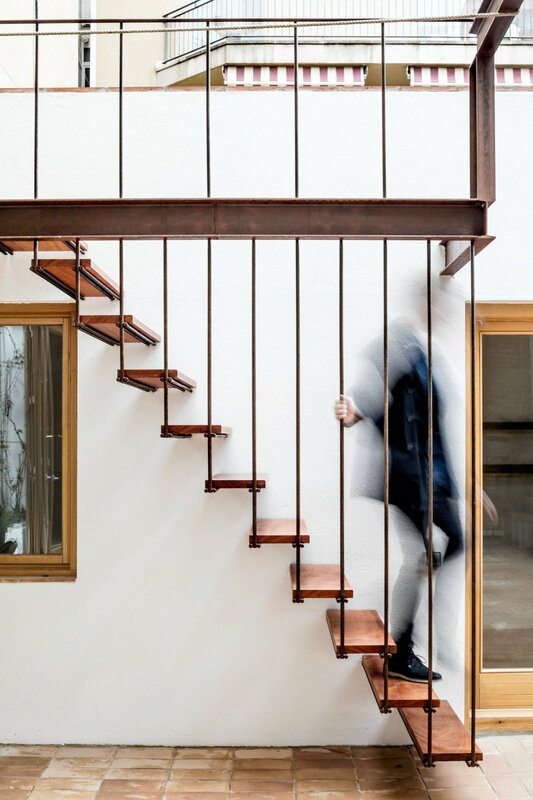 Industrial stairway with wooden treads suspended on rustic steel rods. Project Gallery House in Gràcia, Spain, designed by Carles Enrich. Photographed by Adrià Goula.